Announcing Giveaway Winners & the 4th Annual onbikes Winter Wonder Ride! The Flavor Run Team loves supporting local events! onbikes is a Tampa-based 501(c)(3) non-profit organization on a mission to provide at-risk kids with an experience no one should be denied…their first bike. They have an AWESOME upcoming event during the winter holiday season! Put on your finest reindeer themed gear and polish your spokes! Enjoy a scenic bike ride through the heart of downtown, along the waters of Bayshore Blvd. Try incredible food from local vendors and dance the night away at our famous post-ride celebration. Proceeds from the 4th Annual Winter Wonder Ride go towards the purchase of bicycles and helmets for at-risk kids throughout the Tampa Bay area this holiday season. DISCOUNT: Use the code FLAVOR and save $10 on General Admission or VIP Tickets! WINNERS OF THE FLAVOR RUN ORLANDO GIVEAWAY! Congratulations to Tracey, Cassandra, and Brittany on each winning an entry to the Flavor Run Orlando – MORNING event! Congratulations to Cat, Thomas, and Debbie on each winning an entry to the Flavor Run Orlando – AFTERNOON event! 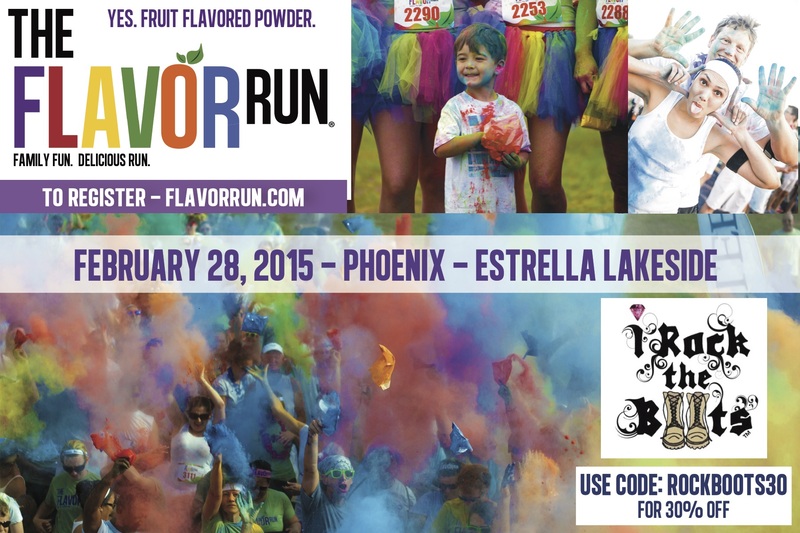 *Winners will receive an email from the Flavor Run Team on how to receive their FREE TICKETS! Thanks to everyone who participated! Taking that first step into the running community is often somewhat overwhelming – There is soooooo much literature (websites, magazines, books, etc.) on how to train, prevent injury, increase your speed, increase your milage, when to stretch, what to eat…the list goes on. 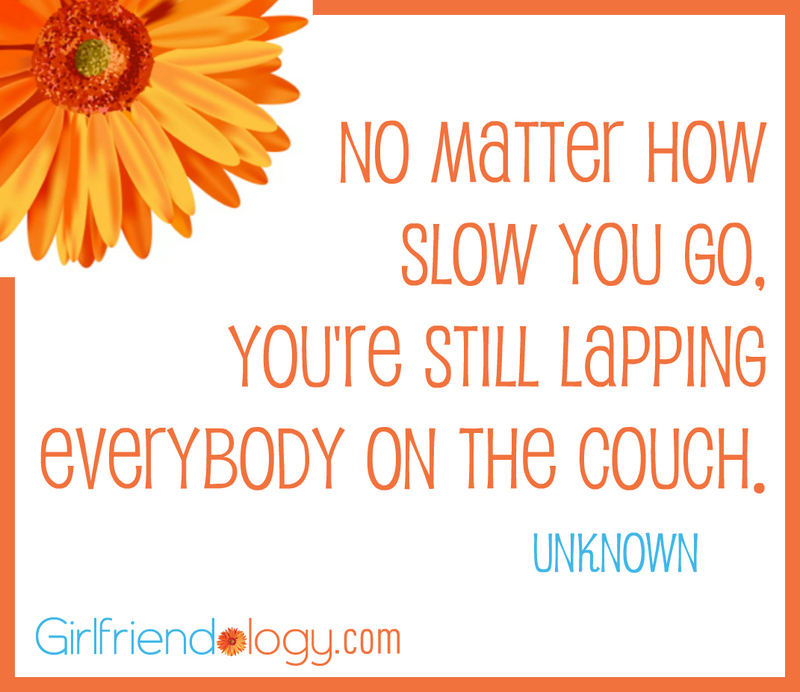 For someone who is interested in becoming more active, improving her/his fitness, or just excited to try something new, it’s easy to run back to the couch! The Flavor Run Team has put together a basic, simple step-by-step process on how to start your fitness journey and complete your first 5K. *Please note that we are NOT medical doctors and any specific health concerns should be addressed by a qualified professional. Click here for additional information on when you should receive medical clearance from your doctor before you engage in physical activity. Work out with a friend, and let someone know where you are headed. Run/walk during the day and/or wear a light after sunset. Always run facing traffic. This makes it easier for cars to see you, and vise versa. If you are going to wear headphones, keep the volume low enough so that you can hear your surroundings. Bring your phone and form of ID with you in case of emergency. 3. Select a running plan and stick with it. Find a training plan that suits you and most importantly, follow the plan. Training plans are designed to prepare you for your race, while minimizing injury. If your plan says to “Run/Walk 2 miles at an easy pace”, DO NOT sprint 4 miles that day – Your body may not be ready! 4. Practice good running form and monitor your body for injury. Ok, you’ve heard it how many times?! Yes, it’s important to stay hydrated. Dehydration = Bad News. Blah, Blah, Blah, Blah… It’s common sense that hydration is SUPER important in hot weather. But just because our days are getting a little cooler now that winter is coming, staying hydrated is still important and can improve your workout performance. Carry a water bottle to work and drink when you feel thirsty. Aim to drink at least 60 oz of water a day (spread out through the day). Hydrate before and after your workouts, and when you feel thirst. Hydrate with water and/or sports drinks. While sports drinks are absorbed into your body faster (due to osmolality) and provide helpful nutrients, many contain high amounts of processed sugar. 7. Allow your body to recover. It’s important to take a break! It’s true, a day of rest can be just as beneficial for your body as a hard workout! Additionally, stretching and yoga are great ways to increase flexibility and prevent injury! Yes! This is supposed to be FUN!!!! No question, your first 5k will be challenging. But with that challenge will come a feeling of accomplishment and pride! Your endorphins will be flowing and you’ll have butterflies in your stomach – And, yea, you might be feeling a little bit of “Am I REALLY ready for this? !” along with all of the excitement…and that’s ok! YOU ROCK! Wear your Flavor Tattoos and Race Bib! Wear you Flavor Shirt: You’re Flavor Shirt is bright and awesome looking – Save it for a day when are aren’t going to be covered in delicious flavored color powder (the powder won’t come out completely and will stain your shirt). The Flavor Run Sarasota is going to be one delicious event! The Flavor Run 5k is headed to Sarasota! 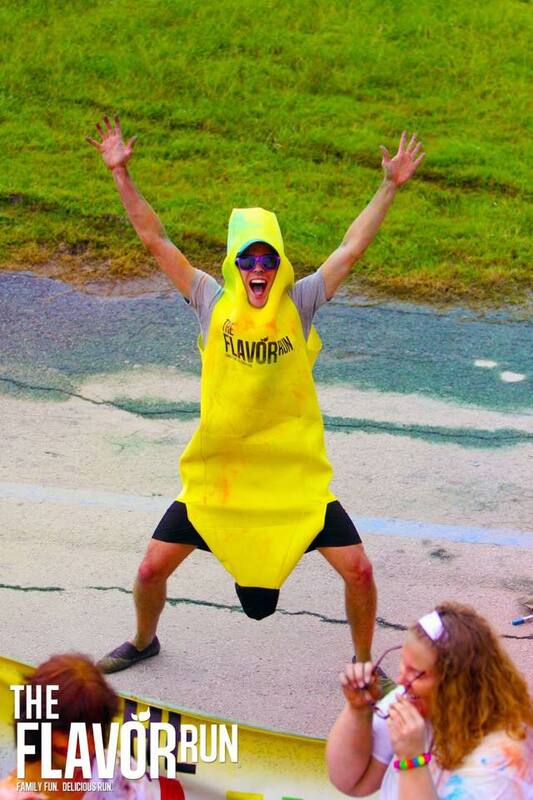 You heard correctly, the Flavor Run Team is super excited to bring our delicious 5k fun run to the Premier Sports Campus at Lakewood Ranch on November 22, 2014!What?! You haven’t signed up yet? Don’t worry – You can still purchase tickets! Go to the Flavor Run Sarasota webpage and select “Register Now”. Better yet: Use the discount code: SARASOTASAVE15 to receive $15 off! A portion of the proceeds generated from the Flavor Run Sarasota will be donated to Beyond the Spectrum. Beyond the Spectrum’s Mission is to serve the children and families in our community affected by autism and related disorders. By providing individualized therapeutic and educational services and utilizing the expertise of our professionally trained staff, our goal is for each child to achieve their highest potential in a safe, caring and family friendly environment. Who wants to go home after running the most delicious 5k you life?! Not Us!!! Once you receive your Delicious Finisher Medal, come join your friends and family at the Flavorlicious Fruit Tent for a refreshing snack! 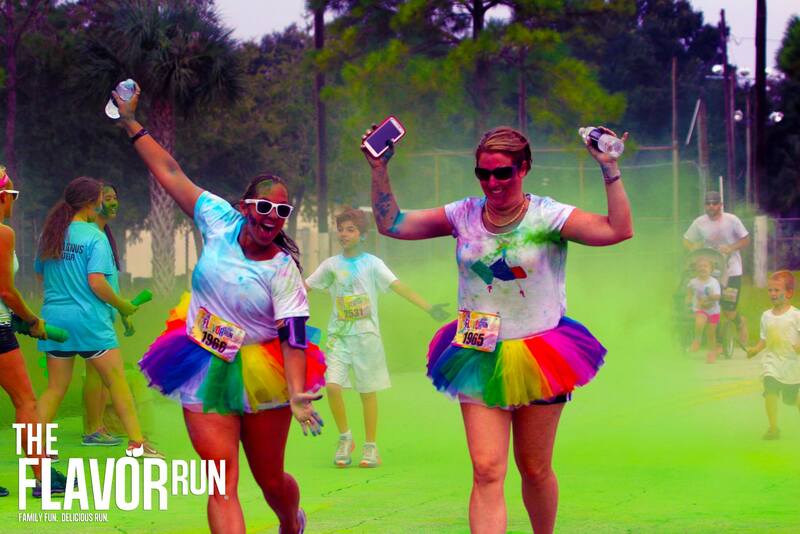 We know you’re covered in fruit-flavored color powder, but the Flavor Run team says, “What’s even better than being covered in fruit? Answer: Being covered in fruit AND eating it too!” We promise, fresh Oranges, Strawberries, Bananas, Watermelon, and Blueberries will have never tasted so good!Of course, what’s a Flavor Festival without some sweet tunes to jam to! Get it!? You’re covered in fruit and ready to “jam” out to some music! (Yes. We just went there.) We are super excited to have DJ Jake Dela Cruz perform at the Flavor Run Sarasota! Now, DJ Jake is no ordinary DJ – He’s been a professional DJ for about 4 years now, and while that might not seem to be a very long time, it’s pretty incredible when you consider that he’s just 13 years old!! Not only is DJ Jake the youngest DJ we know, he’s also one of the best and most sought after in the Tampa Bay Community! The Post-Run Flavor Festival is also a great opportunity to check out our Flavor Run Sponsors that have helped make it possible for us to put on this delicious event. There will be some delicious free samples, a few super cool gifts that we will raffle off, and a lot of great information on how to support some great local businesses in the Sarasota Community. Make sure to check out our Flavor Run Sarasota to stay updated on the newest sponsors joining our team!